Welcome to the JVNP 2.0 Update featuring a JV request courtesy of fellow JVNP 2.0 Partners Greg Writer + James J Jones (T-Rex Mega Store high ticket eCom store launch affiliate program JV invite), Buzz Builders (Sonia Ricotti – Unsinkable Bounce Back System 2.0 launch), and More … in Today’s JV with the done for you ecom storefront king edition..
Greg Writer is launching his brand new product, T-Rex Mega Store, in September and we want to give you a head start on getting ready, because this is going to be the eCom launch of 2017. In a nutshell, its a drop ship, print on demand and fulfillment service … with a Done for You customer store front. We’ve been testing out the promotion for this product over the past few weeks and we’re getting phenomenal results. Use this link to request approval. Thanks in advance for your interest in working with us. JVZoo #1 Top Seller (Total Revenue)! 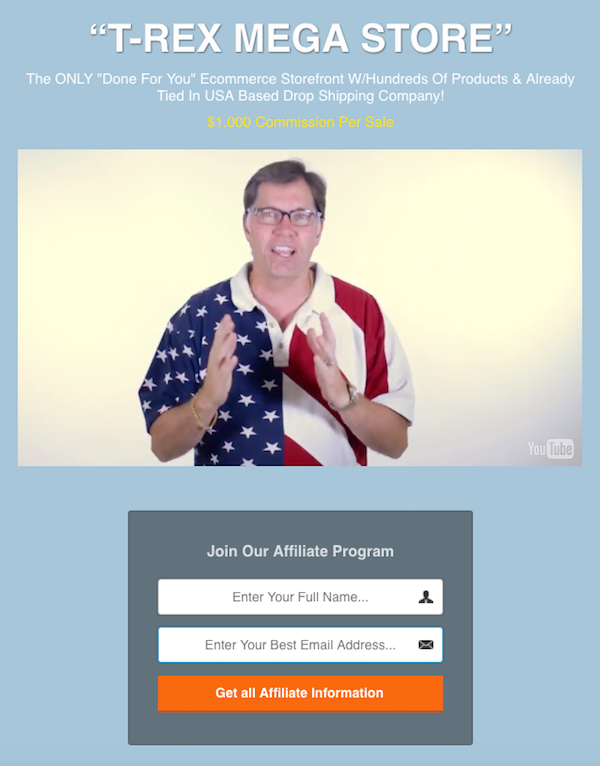 Over 300 VIDEO Testimonials with Actual Earnings Generated from Product … Earn $600 Per Sale PLUS $100 Per Month Recurring! BookTrades is a complete system that includes both the software and training that allows literally anyone to make money online by arbitraging books. Brand new webinar, methods and software. Proven to convert. $600 per sale + $100 per month recurring. *** Experienced high ticket, webinar based promo affiliates Only, please! 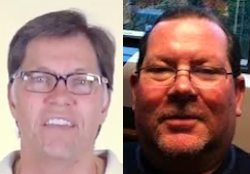 *** Jon Shugart + Luke Sample – BookTrades Webinar + System JV page. Get on the JV Scene with the Bounce Back Queen! Get ready to participate in another PHENOMENAL Unsinkable Launch! Featuring the 3 Step Proven Formula to Bounce Back Instantly (& Higher than Ever) When Life Knocks You Down! It will offer your mailing list something of GREAT VALUE (for Free!) that will help them BOUNCE BACK in a BIG way and achieve their greatest life! PLUS … You’ll make a ton of commissions! Sonia Ricotti – Unsinkable Bounce Back System 2.0 JV page. Greg Jacobs, Jamie Lewis, Daven Michaels, Matt Clark + Jason Katzenback and other fellow JVNotifyPro 2.0 partners are waiting in the wings … keep your eyes on your Inbox, and follow the action in the JVNP 2.0 Premium VIP JV Announcement archives.